Apple just announced three brand new phones at its September event. 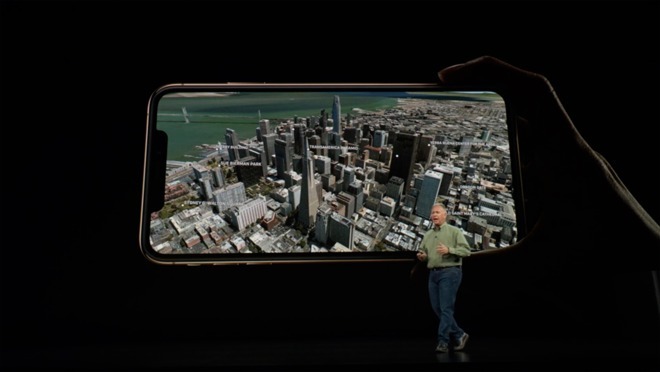 The iPhone XS, an update to the iPhone X, is joined by a larger 6.5-inch iPhone XS Max and the iPhone XR, a new $749 6.1-inch model that we suspect will be a big seller. The XS models will be available to pre-order from 12:01 am eastern time on Friday, September 14th and will ship just one week later. If you want to buy the XR model, you will have to wait for about a month. Considering there are some differences between the iPhone XS and XR models, it's worth examining further to you can choose the right iPhone for your needs. We at AppleInsider are quite surprised by how much Apple is offering with this new XR model. 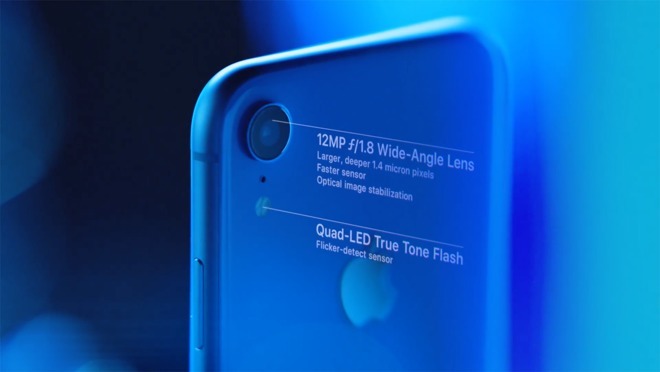 It has the same A12 Bionic processor, which is the fastest mobile CPU on the market, a 6.1-inch rounded edge display that covers most of the front face, a glass back design for wireless charging, Face ID, Dual Sim, IP67 water resistance, and an updated 12MP rear camera with Smart HDR and Portrait mode. 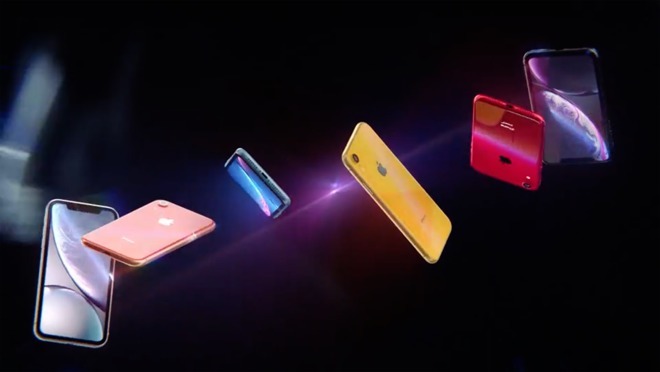 Getting into the differences, the one you'll likely notice first is the price tag, with the iPhone XR costing $250 less than the XS and $350 less than the XS Max. That's a pretty big deal, as you can buy a new Apple Watch or iPad with that money. If 64GB of storage isn't enough, Apple gives you the option to get a 128GB version for $50 more. The XS models require you to jump all the way to 256GB for an additional $150. If you're someone who really needs space, the iPhone XS offers a 512GB model, but it's definitely not for the budget minded, with a price tag of either $1349 or $1449 depending on screen size. Now let's move onto another conspicuous difference: the display. The XR comes in right between the 5.8-inch XS and 6.5-inch XS Max. The 6.1-inch screen is going to be a really good size for the average person but those with smaller hands will have an easier time handling the XS, now Apple's smallest current model year phone. Alternatively, if you love to have extra screen real estate like I do, the XS Max's massive 6.5-inch display is the only new iPhone that supports Apple's new landscape-oriented user interface. For first-party apps, the special UI will not only show more content, but will present iPhone XS Max-only options. Even though they all have displays with gently curving corners and minimal bezels, the XR uses an LCD display that Apple calls Liquid Retina and claims is the best LCD it has designed. The XS and XS Max use OLED technology which is more efficient and boasts amazing contrast ratios, since individual pixels can completely turn off. While both phones have the same maximum brightness, the much deeper blacks of the OLED displays allow them to support HDR content, whereas the XR doesn't. Those aren't the only screen-related differences, as the XR no longer supports force touch. Instead, the screen uses a haptic touch system that grants access to the same functions through touch-and-hold gestures. The last difference in displays may be the most important for many, and that's resolution. The XS iPhones has the same gorgeous 2436-by-1125 resolution display that the iPhone X did, coming in at 458 pixels per inch, while the XS Max's resolution is even higher due to screen size. The XR has a lower 1792-by-828 resolution meaning it's less than 1080P. Being an Apple display it will still look good especially if you're upgrading from an older iPhone, though if you're used to an iPhone X or another high-end OLED device, Liquid Retina could be a step down in quality. The XR has the same IP67 splash, water, and dust resistance as the iPhone X, rated for 30 minutes of submersion at a depth of 1 meter. The XS takes this protection a step further with an IP68 rating, bringing it up to 30 minutes at a depth of 2 meters. Just like in past years, the flagship model supports dual cameras, a wide angle and a telephoto lens which support portrait mode photos. The XR only offers a single wide-angle camera, but its the same shooter that's included in the XS. Apple surprisingly allows portrait mode photos to be taken using the wide angle lens. Even though you won't get that same longer lens look, you can still take photos with blurred backgrounds, and the ability to adjust bokeh is also available just like with the XS. Everything else in regards to photos is identical including the updated selfie cameras that support portrait mode and all new video features. One new upgrade the XR misses out on is Gigabit LTE connection, but for most that won't make a difference. Apple says the iPhone XS charges faster than iPhone X when paired with a compatible wireless charger, but makes no such claims about the XR. Surprisingly, the XR has the best-rated battery life out of the bunch, likely because it has a larger frame that can hold a bigger battery, but a lower display resolution compared to the XS Max. Internet usage is rated at 15 hours compared to 13 on the XS Max and 12 on the XS, and video playback is rated at 16 hours compared to 15 and 14 hours. The original iPhone X was rated at 12 hours of internet usage and 13 hours of video, and looking back at older models, this looks like it could be one of the longest-lasting iPhones. The last thing to touch on is the color options, with the XR providing more variety. Apple added a nice looking gold option to the flagship models, but that doesn't even come close to the White, Black, Coral, Yellow, Blue, and Product RED colors offered with the XR. You don't get the same shine and high end feel in the hand that the stainless steel iPhone XS' affords, but the aluminum anodized housing of the XR will likely last longer if you use your phone without a case.